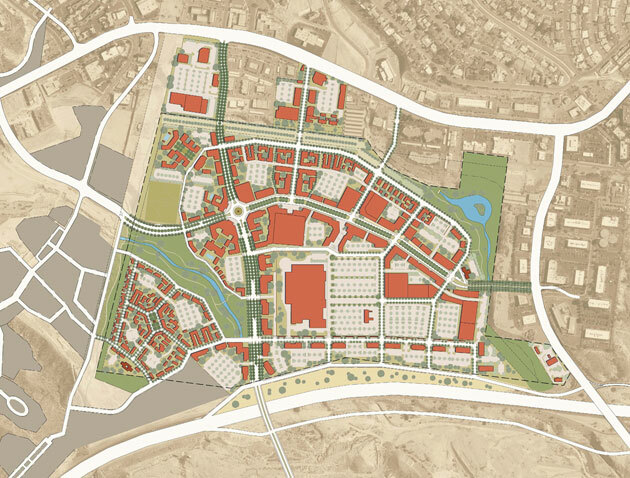 This 200-acre master plan is the second development to emerge from the City of El Paso’s recently adopted Smart Code. This new town center is located just south of the Montecillo Neighborhood on a heavily sloping site in the center of the City, fronting Mesa Boulevard. 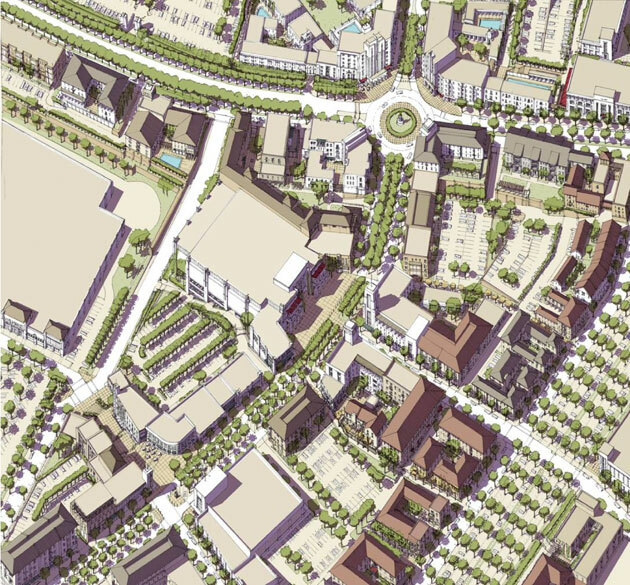 The master plan has four principal components: a 185,000-square-foot Walmart and support retail located in the center of the site along Interstate 10; a traditional rambla main street with 1,000,000 square feet of urban retail and commercial uses located at the site’s higher western edge; a multi-lane boulevard fronted by retail and office uses connecting Mesa to the freeway; and a new 1,000-home neighborhood located to the site’s northwest. The master plan has an interconnected block-street grid interspersed with a variety of parks and open spaces. This project was a collaboration with Susan Henderson and Geoff Dyer of Placemakers.